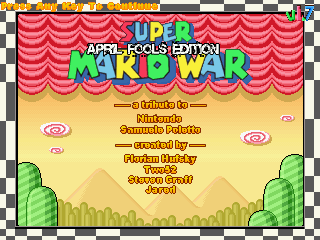 uper Mario War is a Super Mario multiplayer game. It's a tribute to Nintendo and the game Mario War by Samuele Poletto. Recompiled for the Dingoo A-380 CFW.